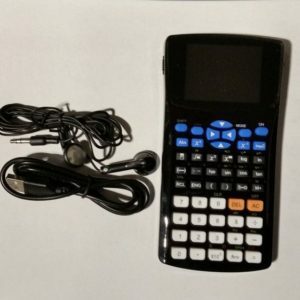 The magic calculator is like any other simple calculator but it has powerful hidden features. 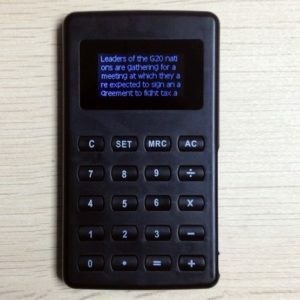 You press only one button and it transforms from the calculator to a book reader, allowing you to check your secret notes. 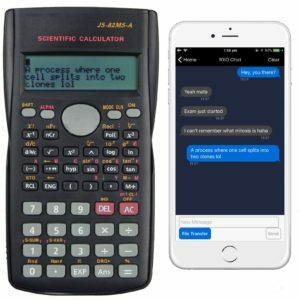 Calculator has fast text scrolling speed so you can write down your notes in a second. The Magic Calculator also allows you to set text brightness. You can choose between 4 different text brightness modes. Magic calculator has emergency button. 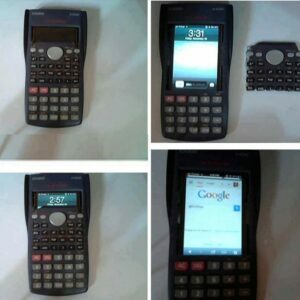 If you press this button it will eject you from the text and will bring back to Calculator mode. 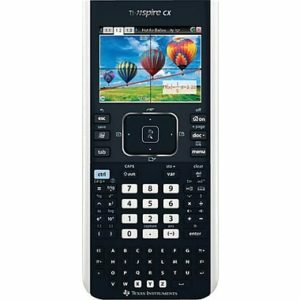 Also it will lock all other buttons, and to unlock the calculator you need to know special combination of buttons so it impossible to unlock it for any other person.